Each of these Casa de Garcia hand-rolled premium cigars are crafted in the Dominican Republic with an aged blend of Honduran and Dominican long filler tobaccos, with a smooth Connecticut binder and a light brown Connecticut shade wrapper. 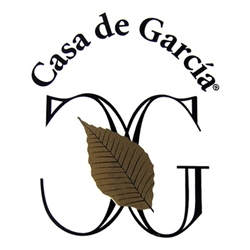 Casa de Garcia are a very consistent premium cigar that offers a smooth, mellow and flavorful experience from beginning to end. Smokers Discounts offers Casa de Garcia premium cigars in affordable bundles of 20 cigars. Try one of the varieties of sizes and flavors listed below. Each of these styles are available today for a discount price! Call us for more details!